Give the gift of homemade jams this season. 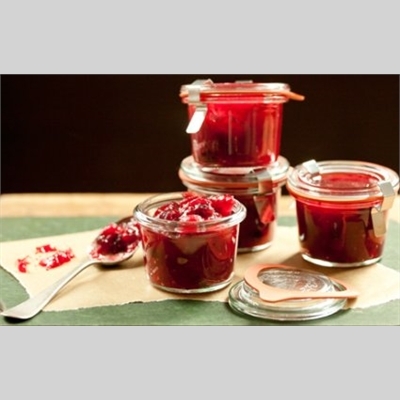 Learn how to safely make shelf-stable jams and jellies using the hot water bath canning method. We will cover safety (including an overview of the USDA’s Complete Guide to Home Canning), equipment (from basic to advanced), recipe selection, canning resources, and sample some delicious homemade treats. And yes, we will get hands-on with recipes that may include spiced whole cranberry jam, onion marmalade, and apple raisin jam. Tuition includes a $20 food and materials fee.